American Beauty HS-B Heat Sink Alligator Clip by American Beauty Tools at Wakaf Center. MPN: HS-B. Hurry! Limited time offer. Offer valid only while supplies last. Heat Sinks are an easy and affordable measure to protect heat sensitive components from thermal damage. 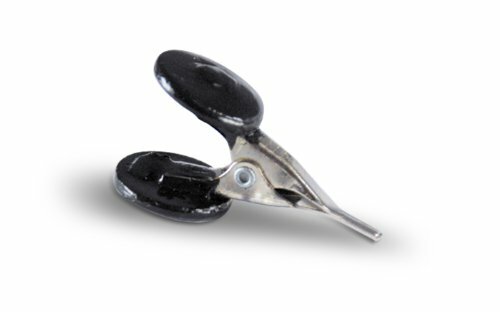 Clip is chrome plated to fight oxidation. Heat Sinks are an easy and affordable measure to protect heat sensitive components from thermal damage. Clip is chrome plated to fight oxidation. Alligator jaws ensure accurate and motionless adherence to wherever heat-sink is placed. Comfort grip pads ensure easy squeeze and place action. RoHS Compliant. If you have any questions about this product by American Beauty Tools, contact us by completing and submitting the form below. If you are looking for a specif part number, please include it with your message.